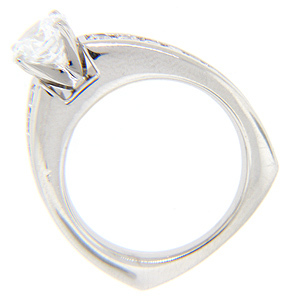 Channel set round diamonds ornament the shoulders of the engagement ring in this contemporary wedding set. Excluding the center stone, the ring holds .50 carats of diamonds. 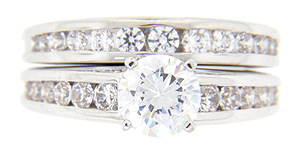 The matching wedding band continues the channel set diamond motif. 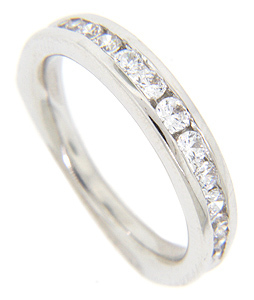 Shown here in 14K white gold, the rings are also available in yellow gold and platinum. Prices depend on current market value for the precious metal desired. 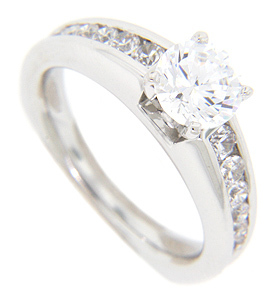 The center diamond is shown for reference purposes and is not included. 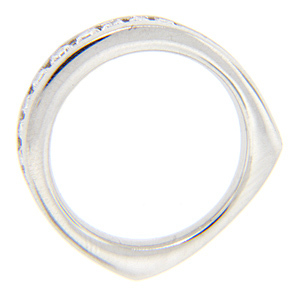 Individually, the price for the wedding band is $925.00.